Many small businesses make the mistake of leaving their office phone system as an afterthought. They stick with what they know, or take the cheapest option in a bid to cut costs. After all, who even makes calls anymore? You may be surprised to find out that when a customer has an issue or a complicated enquiry, they still prefer to make a call. A telephone system for a small business will incorporate multi-line phones, VoIP technology and many user friendly features to increase efficiency. These types of systems are sometimes referred to as a key system. We’ve rounded up some of the best small business phone systems on the market, to save you both time and money. 03 | What phone system does my business need? Traditional PBX vs. VoIP: what’s the difference? The ‘best business phone system’ will vary from business to business. This isn’t surprising, when you think about it. If you don’t expect many calls, and will have someone office-based throughout the day, then buying the most high-tech phone system might be a waste of time. Equally, it’s important to think long term. Sure, your business might be small right now, but what about next year? Or in five years?. You may all be office-based at the moment, but will you want to work from home in the future? Your office telephone system should facilitate rather than hinder these advances. That’s where VoIP systems come in. They allow your business to move away from traditional in-house business phone lines. With VoIP, employees can communicate better than ever from their smartphones. With the right system and a good internet connection, businesses can lower their costs and benefit from all the features of traditional systems. But what is the difference between traditional office telephone systems and VoIP? Let’s take a look. If you already know which kind you need, click the corresponding button above to collect personalised quotes for that type of phone system. If you’re thinking about buying a traditional phone system, you will need a phone for each employee. If you have a small business with only a handful of employees, you can even use a home phone system. If you’ll need lots of extensions, then you will need to look at a PBX or ‘Private Branch Exchange’. This will co-ordinate all incoming and outgoing calls, helping to make transfers and manage voicemail on different extensions. 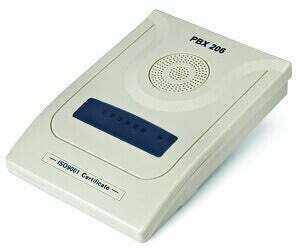 A PBX used to be an on-premises wall-mounted box that each phone line plugged into. Nowadays, these can be virtual as well, offering the same functionality as traditional hardware. Unlike a physical, premises-based business telephone system, VoIP phone systems work by transmitting the phone audio over the internet. 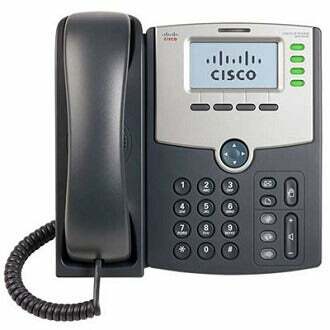 It is important to make sure that your VoIP phones don’t all use the same connection for the internet. Otherwise, you risk garbled or dropped calls if multiple people are online at once. The number of lines you need for a VolP phone system depends on how many people will use the system at the same time. For example, a two person organisation will be likely to only need two lines. A 10 person organisation will generally need five to seven lines, and a 100 person organisation could only need 20. VoIP systems also have hosted (cloud-based) and non-hosted versions. So what’s the difference between business IP phone systems and VOIP ones? In short, IP uses a private data network to carry conversations over distance. VOIP uses a public data network. If you don’t have a private network, you’ll need to opt for VOIP. So long as it’s installed properly, you shouldn’t notice a difference in quality. Hopefully you now have a clearer understanding of traditional and VoIP systems, and which you are likely to need. Will you require call forwarding to mobile devices, and their integration into your system? Will you require call redirection to staff members who work from home? Do you wish to have a high-speed data network installed, which is able to use wireless technology? Is there a need for your business to be able to integrate the phone system with the IT used? How much are you looking to pay for line rental? Keep your answers to these questions in mind as we take a look at the best suppliers for the job. If you’re still unsure which type of system will work for you, don’t worry. This short online form will walk you through some basic questions and match you with quotes that are right for your business. Read our reviews of the best business phone system providers, or skip straight to the best small business phone systems. Enabling your computer and phone system to work alongside each other. This allows you to, for example, see incoming caller information, and therefore provide a more personal customer service experience. Making it easy to provide staff training and monitor performance. Analyse how customers transfer through your system, and where there are ‘blockages’. RingCentral’s team collaboration software offers lots of ways for your team to communicate; whether it’s video conferencing between offices, leaving video voicemail or just instant messaging. Build either a private or public app for Android or iOS. Or even build a chatbot app, which you can integrate into your website. Connect with customers by collecting messages from all of your digital channels. Virtual office editions support calls to and from up to 45 countries. Feature-rich mobile and desktop apps make working remotely feel far from remote. To aid setup and easily troubleshoot issues. Someone who will come to know your business needs inside out, and can even visit your office to make recommendations. Working outside of the office couldn’t be simpler. So you can get up and running in no time. A proactive aftercare service is one of their proudest achievements. 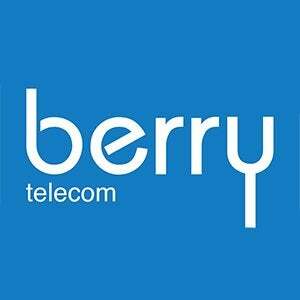 Businesses of all sizes will boost productivity and improve customer services through advanced and easy-to-use telephony. Free consultancy, installation and maintenance. No hidden costs, no nasty surprises. That means your desk and mobile phones, instant messaging, voicemail, web conferencing etc. together in one, integrated system. Don’t risk aggravating potential and existing customers with a frustrating call. Mitel work to give your customers the best experience possible. Hot-desking and remote working needn’t have an impact on your team’s performance. Mitel’s solutions take this into account. Lily Comms has a proven track record of saving customers money. Lily’s partner firm, Ericsson-LG, reportedly spend four times as much on research and development than their nearest competitor. You can be sure that every solution will be cutting-edge. Lily Comms pride themselves on being the ‘friendly expert’. Your dedicated account manager will work with you to find the best option. Cisco software allows you to make and receive calls from a computer or tablet. Solutions that unify your communications, rather than making them more complex. High quality video links allow you to connect with clients and suppliers and like never before. As a small business looking for a new office phone system, you’re really spoilt for choice. 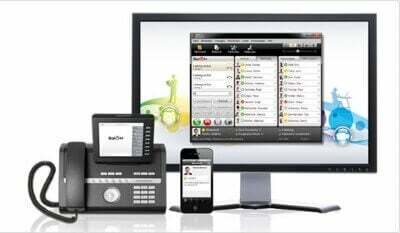 This is our pick of the top 10 small business phone systems on the market today. 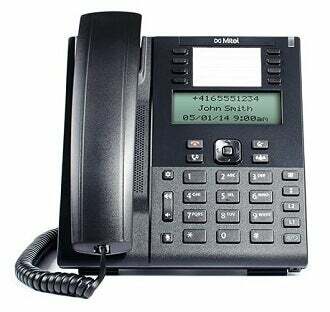 The Mitel 6865 is a great all-rounder. It offers a lot of flexibility to any business, whether at home or in the office. It’s a great option for a growing business, and can support up to 24 lines when connected to an expansion module. 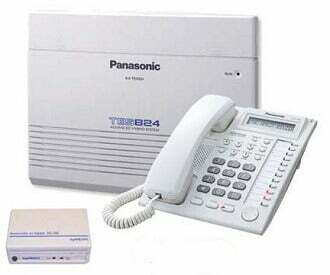 The Panasonic KX-TES824 is a hybrid office telephone system that can support up to 24 extensions. This makes it perfect for a growing small business. Handy features include Caller ID and Voice Message Delivery when a line is busy. This price is for the telephone system itself, which comes complete with three exchange lines and eight extensions as standard. This system was designed with call centre and cubicle workers in mind. 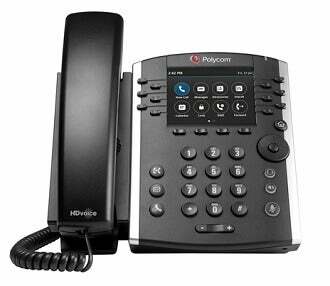 This is a six line phone system that is ideal for both small and medium sized businesses. It’s an affordable and simple system which promises to improve efficiency and productivity. This is a wireless handset that is well-suited to industrial environments. It is dust and jet water protected, making it great for outdoor sites. It’s really easy to clean and complies with high hygiene requirements. This makes it ideally suited to the healthcare sector, too. Think a wireless business phone will be the best option for you? Take a look at the other great cordless phone systems that we recommend. 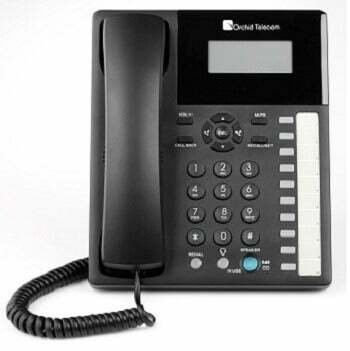 Orchid specialise in functional office telephones for small businesses. This is a ‘no frills’, affordable option – perfect for a micro-business that doesn’t expect a high volume of calls. If you work from home, this could be the best phone system for you. The Orchid PBX416+ has capacity for up to five analogue lines and 16 extensions. It’s packed with features ideal for small organisations including call forwarding and line selection for efficient communications. Elite Telecom’s hosted office telephone system champions scalability. It’s perfect for home-workers and salespeople. This system removes the need for the hassle associated with hosting your own system. Elite can handle all the call routing and switching for you. Another tried and tested , ‘no frills’ phone system. This is a four line VoIP solution at a very reasonable price. It would work well for a smaller business that doesn’t have the need for complex functionality. 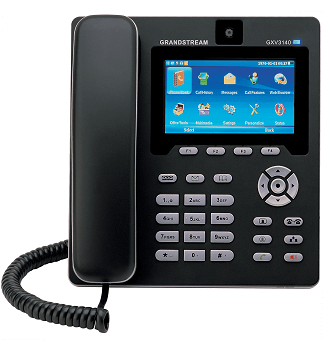 Grandstream’s Skype phone allows you to receive the full benefits of VoIP without any needs for a computer. This can be ideal for many small businesses with communications often taking place online. It is ‘Skype certified’ and comes with Skype software included as standard. This means you can make Skype calls using just your phone handset. Orchid 206 PBX system has the capacity for up to two lines and six extensions. It’s ideal for small offices or home businesses. Key features include call transfer and auto attendant. What about the best home business phones? 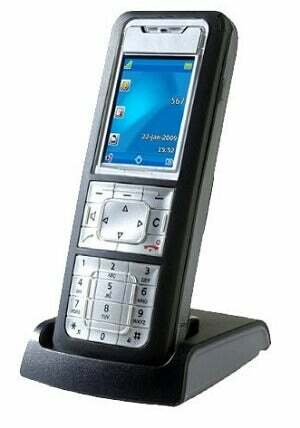 All of the models listed above are suitable for homes business phones. At the end of the day, it just depends on your preference and your needs. If your home business phone is to double up as a home phone, take a look at the top 10 cordless models. These are great as both home and business phones, as they leave you free to take calls throughout the house. For an entire small business telephone system, expect to pay around £170 as a minimum. This will set you up with a full, two line system with up to six extensions. Higher specification systems can cost up to £1,700. These options have more telephones and extensions with extra user and customer features. But ultimately it’s very difficult to work out the total price of your telephone system without getting quotes that are tailored to you. Finding the right phone system for a small office is vital. A lack of space means small businesses often can’t afford to house large, loud and costly on-premises hardware. Instead many of the hosted systems covered in this guide provide an excellent alternative. By hosting your business phone system externally you can instead keep initial investments to a minimum while affording monthly payments for custom plans and solutions tailored exactly to meet your needs. Still, with so much choice available, and with so much jargon surrounding the topic of office telephones, it can be hard to know where to start. Fill in this short form to be receive quotes from trustworthy suppliers who can take your needs and turn them into an end-to-end solution.